Q. What hours and days are your companions available? Q. Is there a minimum number of hours or service that I must commit to? A. We are happy to provide a companion for a minimum of 2 hours. Except in the case of a doctor’s appointment , we have found it takes at least 2 hours to meet most of our client’s needs. Q. 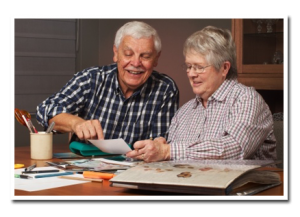 How does companion support compare to assisted living or adult day care? A. You will not receive one on one care in day care or in a facility, as you do with homecare. Homecare is tailored 100% to you. A. All of our caregivers are thoroughly screened, including competency testing, drug testing, references and criminal background checks. In addition all related experience is validated. Q. 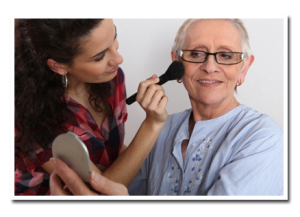 Can your caregiver provide medical and home nursing services? Q. If I am securing services for a family member, can you provide updates on their care and progress? A. Yes. Notes will be kept at the house and our caregivers and office staff will work with the family to provide feedback at any time. Q. How do I know this is the right service for my loved one? Q. How will you find the right caregiver for our family? A. When the initial assessment is done we will try to determine personality, needs and interests. We will then attempt to find a compatible caregiver. Q. Will we have the same caregiver every time? A. Although we can’t guarantee it, our goal is to provide the same caregiver for every client. This is much easier to do given a set schedule for your loved one. Q. What do I do if I don’t like my caregiver? A. If you are unhappy for any reason with your caregiver, we will handle the replacement as quickly as possible. It will not be an uncomfortable situation for you. Q. What happens if our caregiver gets sick and can’t come that day? A. We will notify you and ask if you want a replacement. One will be provided as quickly as possible and will be brought up to date on your situation. Q. What do you mean by “light housekeeping”? A. Light housework could include refreshing the bathroom, cleaning the dishes, client’s laundry, and other daily miscellaneous tasks. Q. What happens if our loved one goes into the hospital? A. We can continue to provide the care relationship in the hospital or simple help with the transition home and aftercare. Q. Do I have to sign a contract or keep services for a specific period of time? A. A contract is signed that specifies your rights, the services to be provided, a tentative schedule and applicable rates. There is no set time or financial commitment and it can be modified at any time. You will not be held to any service commitment. Q. Can I make changes to the schedule if I have an appointment? A. Yes but we ask for as much notice as possible in consideration of the caregiver.